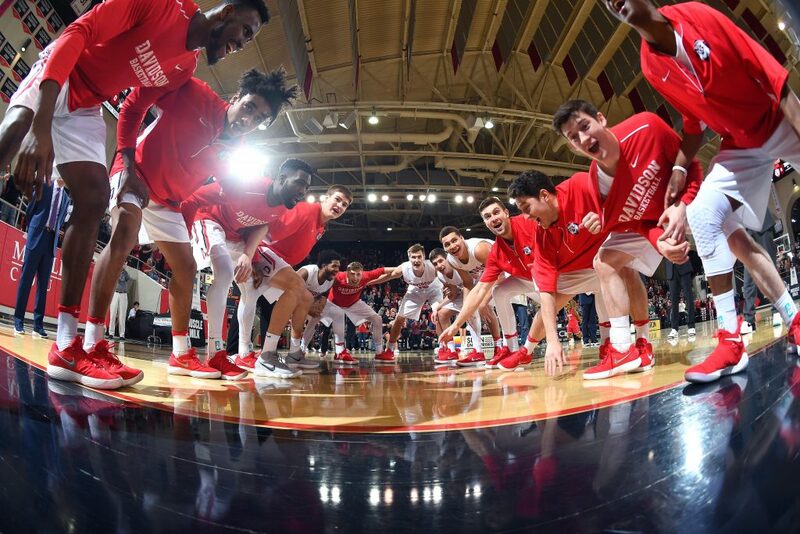 March Madness has struck Davidson College – driven by the team’s A10 championship and star players. But it’s important to remember the players that almost never take the court. The team’s walk-ons go to great lengths to prepare the Wildcats for the high-level competition they face all season. A walk-on — or non-scholarship — player is someone may not rack up the most minutes or points but they still have a big impact on the team. Walk-ons are skilled, selfless athletes who work tirelessly in practice and cheer enthusiastically during games in order to help propel the team to success. Thoni started with the team as a manager his freshman year, and soon found himself doing many of the things that walk-ons typically do, such as participating in drills and playing on the scout team. Eventually, he was awarded a spot on the team in recognition of his dedication. In his senior year, he played in 10 games. Now, as a coach, Thoni can clearly see the impact that walk-ons have on the team’s physical conditioning and mental fortitude. Cal Freundlich ‘20, Michael Brown ‘20, and Malcolm Wynter ‘20 are walk-ons whose enthusiasm and athleticism make them critical assets. When they arrived at Davidson in the Fall of 2016, they were accomplished high school athletes hopeful of fulfilling lifelong goals of competing as a D1 athlete. While Freundlich and Wynter had already been in touch with the coaches before arriving, Browns’s decision was more last minute. Walk-on prospects must go through two sets of tryouts followed by a three-week trial period. While most freshmen were just trying to navigate campus and adjust to college life, Wynter and Freundlich carried the added load of making the team. “Tryouts were very difficult and just proved to me that this was the type of competitive atmosphere that I wanted,” said Wynter. “I couldn’t believe it when they told me I made it. I said, “wait, seriously?” and stumbled for words,” says Cal. As walk-ons, the three play a unique role on the team both in practice and during games. While they’re not in the starting lineup, their presence is felt through the spirit and excitement they kindle. “I try to lead on and off the court by bringing positivity and communication to the team,” says Freundlich. During practices, all three fulfill a critical role as players on the scout team, meaning that they play against the starters to help them practice. “I take on a role of the opposing teams’ players and try to emulate their moves as best as possible,” Freundlich says. Similarly, Wynter spends his practices switching between playing on the scout team and filling in for injured players during drills. “A lot of times I’ll switch between a black and red jersey (scout and starter) 5 or more times in a practice,” he says. During games, the three cheer from the bench to keep the energy going for those who are on the court. “I’m an energy guy no doubt…Coach gave me the title, ‘Captain of the Bench’ earlier this year, and while it sounds funny, I take it very seriously,” he says. This means that during a game, Freundlich devotes his energy to the players on the court, helping them stay positive and enthusiastic. At the end of lopsided games, walk ons will usually get playing time for the last few minutes. This season, all three played in over 10 games. Freundlich played for a total of 16 minutes, Wynter for 26, and Brown for 14. For comparison, Peyton Aldridge ‘18 averaged 37.7 minutes per game. When the walk-ons take the court, a heartwarming role-switch occurs between them and the starters, who become in turn become cheerers. “The looks and cheers from the bench in these moments affirm the respect and love that the guys have for one another – scholarship player or walk on alike,” says Thoni. Although a walk-on might not get all of the celebrity attention as some of our starting 5, they are indispensable members of the team whose hard work and dedication can’t be overlooked. “We have several walk-ons right now that are fantastic teammates, good players, and take pride in making sure their teammates are ready to play. I think all of the guys that play substantial minutes during games would tell you what a great job the walk-ons do in preparing them for games, as well as, what great teammates they are,” says Thoni.